Content marketing educates, engages and inspires. But how do you know what your audience wants to consume? With adults spending an average of 10 hours a day on screens, competition for your audiences’ attention is fiercer than ever. In this session, we will explore strategies for how marketers can keep their message relevant and enticing through webinar content. 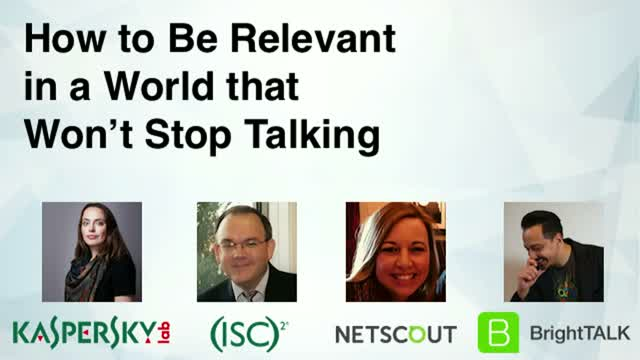 The marketing experts from NETSCOUT, (ISC)², Kaspersky Lab will highlight how a tactical rich media approach has helped them reach their demand and engagement goals.